The borough of Chambersburg plays a prominent role in the history of the Civil War in Pennsylvania. While Gettysburg receives the lion's share of visitors and tourists, there is enough history in Franklin County's county seat to fill volumes. 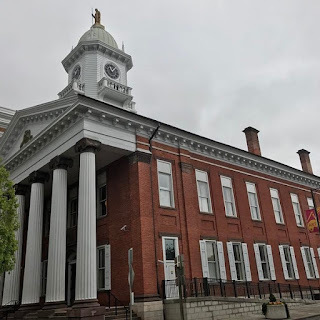 Chambersburg played a role in numerous important chapters of American history, from the French and Indian War to the Whiskey Rebellion to the Underground Railroad. 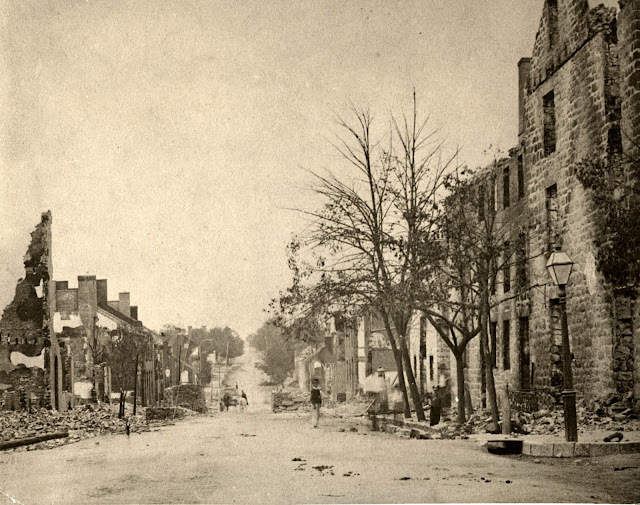 Chambersburg also holds the distinction of being the only city in the Union that was burned down by Confederate forces. The town had been invaded by the rebels on two previous occasions, but it was the order given by Gen. John McCausland on July 30, 1864, that reduced much of the community to ashes and smoldering rubble. History records only one casualty resulting from the series of raids on the borough-- a black resident who was trapped inside a burning building because the rebels refused to let him out. A few hundred Union soldiers were captured as prisoners, and two Confederate soldiers were reported as missing-- and therein lies the heart of Chambersburg's most captivating unsolved Civil War mystery. Early in the spring of 1902 workmen began construction on a new addition to the county courthouse. Part of the work involved excavating a well that was located behind the Hope Fire Company building. As the men began to dig they were approached by an elderly resident, who had a strange warning for the workers. The old man said that if the men were to dig down far enough, they would come across some human bones. Sure enough, once the workers reached the bottom of the ancient well they found part of a skeleton, along with a few brass buttons and a pair of buckskin gloves. Frank Henninger, who was overseeing the excavation, was curious to know how the old man knew that they would stumble across human remains. The old-timer told Henninger a remarkable story. Not long before Gen. McCausland gave the order to burn the town to the ground, one of his officers and a local resident were playing cards in the firehouse. The old-timer, who was just a young man at the time, was instructed to go out and purchase some beer. When he returned he found that the Confederate officer had disappeared; the only player left was the Chambersburg resident, who explained that an altercation had broken out he accused the Confederate officer of cheating. In a fit of rage, the Chambersburg man threw the rebel down the stairs. His neck was broken, and death was instantaneous. Since it was just the two men who were left in the firehouse, the card player confessed to the beer-bringer that he had thrown the body of the dead officer down the well to conceal the crime. The man who killed the officer moved away from Chambersburg years before the bones of his victim were found, his name forever lost to history. 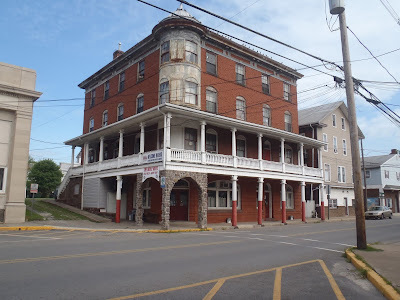 As for the bones and brass buttons of the dead soldier, the May 2, 1902, edition of the Harrisburg Telegraph reports that Frank Henninger took them home as souvenirs. But that's just one half of the story; records indicate that another Confederate officer was never seen again after the raids on Chambersburg. That officer was Major Bailey of Petersburg, Virginia. While his identity is known, the location of his final resting place remains a mystery. Major Bailey was one of McCausland's finest men, but on July 30, while the town was burning, the young officer was shot. Because of the sheer madness and mayhem of the scene, the frenzied mothers dashing out of their blazing homes with babes in their arms, the frightened horses rearing and bucking, it was never clear who took the shot at Bailey or why. But, according to one eyewitness who was alive at the time, a local historian by the name of Noah Heckerman, the Confederate officer was picked up from Fairground Avenue where he lay bleeding by a gang of angry locals. The furious mob carried the officer down Main Street to Queen and by the time the mob reached the public square a large crowd had formed, and the crowd was hungry for revenge. Major Bailey, however, was not the kind of fellow to die without putting up a valiant fight. After a desperate struggle he managed to break free from his captors and, with every ounce of strength he could muster, he ran for his life, eventually arriving in front of the J.A. Eyster & Bro. general store (on the site that would later be occupied by Isaac Stine). 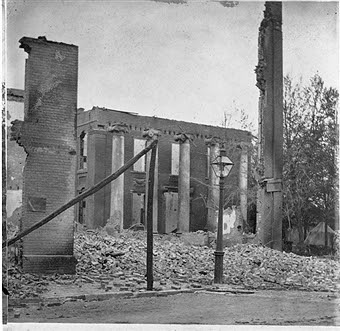 Although the structure was a raging inferno, Major Bailey spied an opening through the fiery timbers and ran through, coming out on South Second Street. He eluded the mob by ducking into a white frame house next to the stable of Paul John's hotel. Inside the house the officer concealed himself in a pantry, but had barely managed to close the door when the lynch mob caught up with him. Shots were fired into the door, and the mob waited with bated breath. After a few moments they opened the splintered pantry door and found that the Confederate soldier had been shot through the heart. According to Heckerman, the officer was still breathing as the mob dragged his blood-soaked body out of the house and onto the pavement, where he soon died. Someone carried Major Bailey's corpse away in a wheelbarrow and hauled it to Harrison Avenue, where it was viewed by hundreds of Chambersburg residents. After everyone who wanted to had caught a glimpse of the slain rebel, the body was carted off to a lot owned by Jacob Shafer on South Second Street, near the offices of the Cumberland Valley Railroad, where it was buried. It was a shallow, sloppy burial. Heckerman relates that the gravediggers were forced to scramble after it was reported that a detachment of Confederate troops were nearby. It proved to be a false alarm. Nonetheless, Bailey was sufficiently buried and remained in the Shafer lot until the end of the war. After the war was over, Major Bailey's widow came to Chambersburg to claim the body, which she wanted to have interred in Petersburg. Unfortunately, she discovered that she didn't have enough money to cover the expenses. 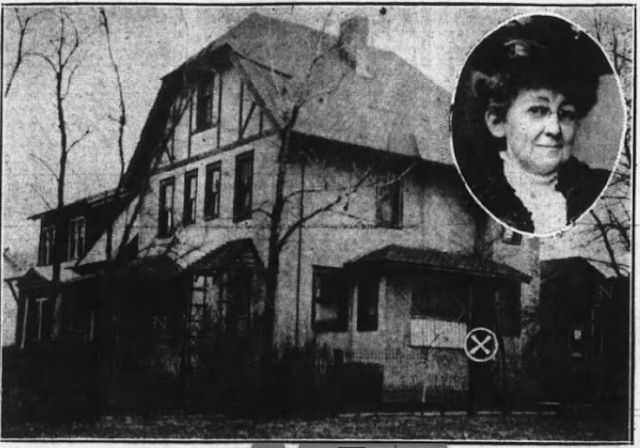 The citizens of Chambersburg, still angry about the torching of their city, sent her back to Virginia empty-handed and told her not to come back until she had enough money. Meanwhile, the corpse of Major Bailey was dug up and re-buried behind the firehouse, on the grounds of the county courthouse. There was no gravestone to mark the spot, and the exact location of the grave has been lost to history. Nearly two thousand Confederate soldiers marched into Chambersburg between the first raid on October 10, 1862, and the burning of the city on July 30, 1864. All of them returned to Dixie and lived to fight another day, except for two. And, strangely, the bodies of those two rebel officers came to rest just a few feet apart from each other behind the Franklin County courthouse.